Over the last few weeks my family and I have been making full use of the now, free Severn Bridge and exploring Wales! The other weekend we visited Caerleon Amphitheatre, a real Roman Amphitheatre in Newport which was built around AD 90. It is free to visit and kids can roam freely and climb bits of it. It’s perfectly circular and in amazing condition and such a great place to explore. The amphitheatre is open from Monday to Saturday 9.30am-4pm and Sunday 11am-4pm. You can find it at Broadway, Caerleon, Newport NP18 1AY. 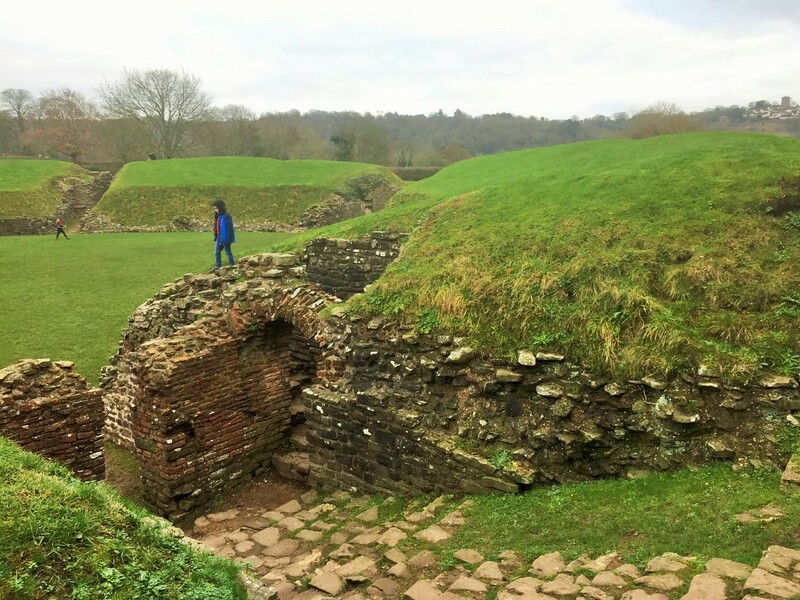 Caerleon Amphitheatre is a perfect way for kids to learn a bit of history while having lots of fun!